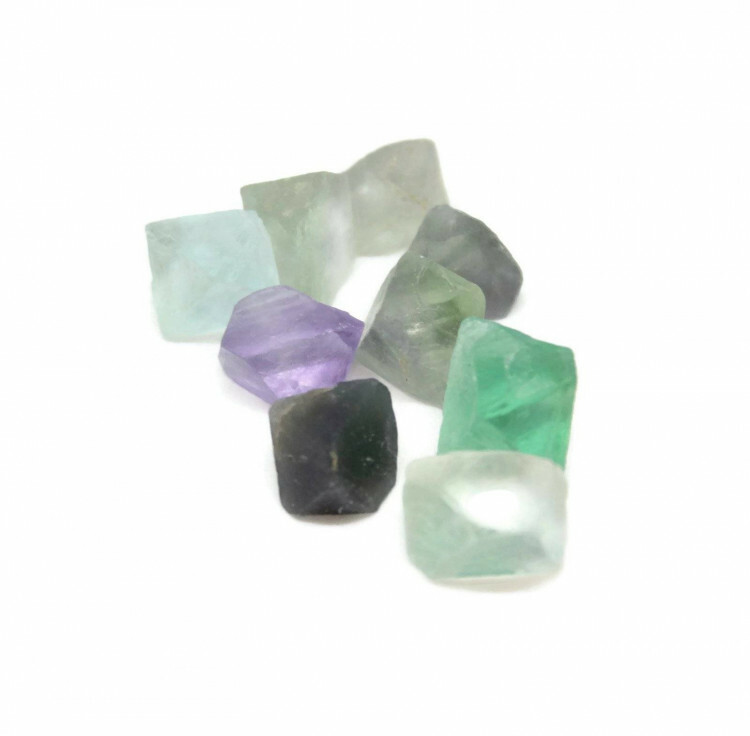 Natural Fluorite Octahedron shaped crystals, available in a few different sizes. 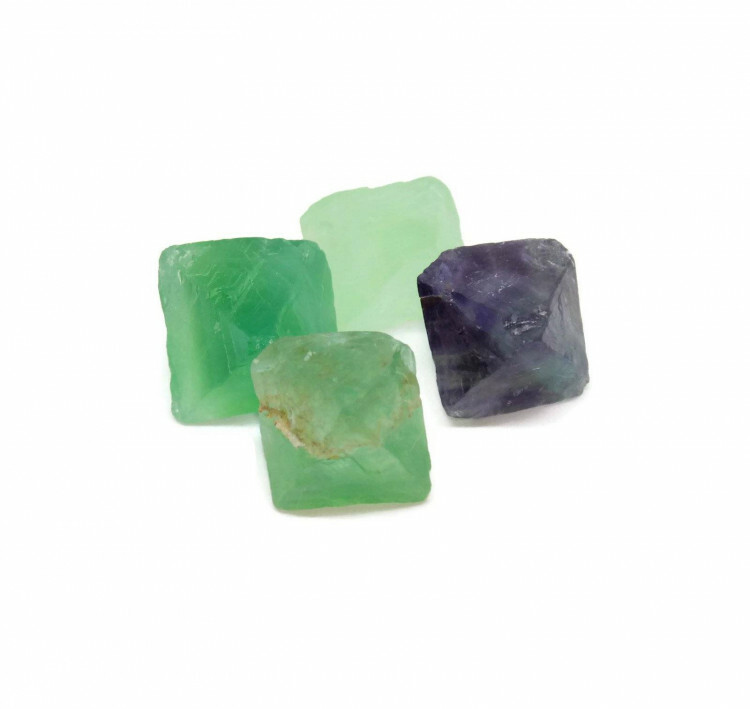 Fluorite octahedron specimens – available in two different sizes. 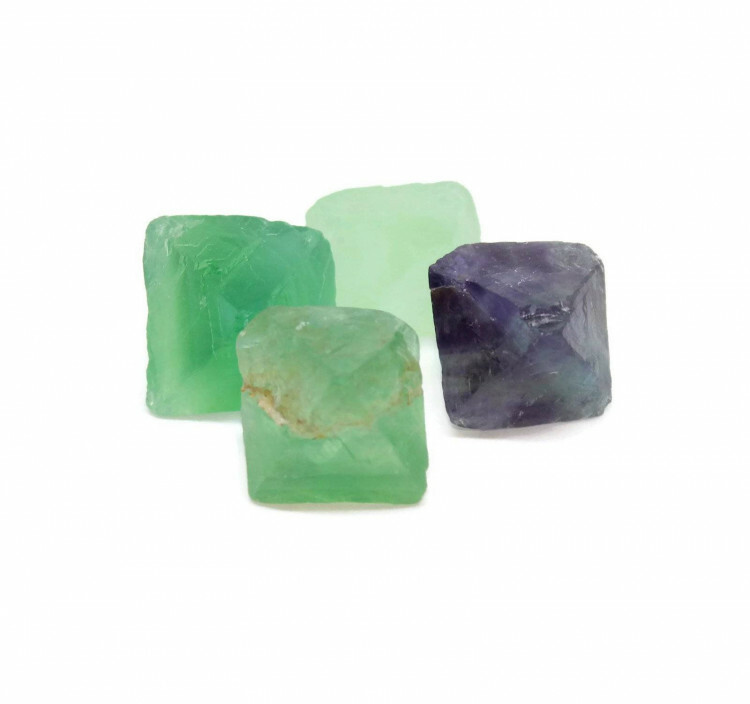 These unusual pieces are octahedral shaped crystals of Fluorite. While natural, genuine pieces exist, they are quite rare. Fluorite breaks into octahedrons quite simply along its lines of cleavage. It is common practice amongst miners to cut the stone into these shapes – simply because they are easier to sell than rough chunks. If the pieces are on a matrix stone, you can guess they are genuine, or a very sophisticated fake. All of these pieces, however, are off matrix. For more information about Fluorite, and a full list of all of our related items, please see our main ‘Fluorite’ section.